Neuron reconstruction is an important technique in computational neuroscience. Although there are many reconstruction algorithms, few can generate robust results. In this paper, we propose a reconstruction algorithm called fast marching spanning tree (FMST). FMST is based on a minimum spanning tree method (MST) and improve its performance in two aspects: faster implementation and no loss of small branches. The contributions of the proposed method are as follows. Firstly, the Euclidean distance weight of edges in MST is improved to be a more reasonable value, which is related to the probability of the existence of an edge. Secondly, a strategy of pruning nodes is presented, which is based on the radius of a node’s inscribed ball. Thirdly, separate branches of broken neuron reconstructions can be merged into a single tree. FMST and many other state of the art reconstruction methods were implemented on two datasets: 120 Drosophila neurons and 163 neurons with gold standard reconstructions. Qualitative and quantitative analysis on experimental results demonstrates that the performance of FMST is good compared with many existing methods. Especially, on the 91 fruitfly neurons with gold standard and evaluated by five metrics, FMST is one of two methods with best performance among all 27 state of the art reconstruction methods. FMST is a good and practicable neuron reconstruction algorithm, and can be implemented in Vaa3D platform as a neuron tracing plugin. This paper extends and improves our previous work published in the Proceedings of the 2016 International Conference on Brain Informatics & Health (BIH’16). 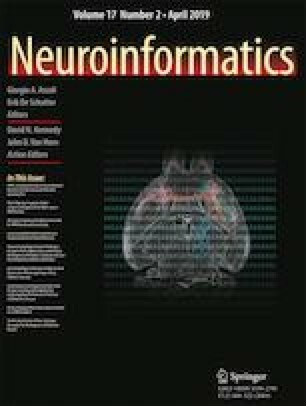 The authors thank the BigNeuron community for providing the data and the discussions, especially Dr. Zhi Zhou at Allen Institute for Brain Science. This work is partially supported by the National Basic Research Program of China (No. 2014CB744600), National Natural Science Foundation of China (No. 61420106005), and Beijing Natural Science Foundation (No. 4164080). The source code of FMST is openly distributed along with the Vaa3D (RRID:SCR_002609) code repository together with other plugins ported in the BigNeuron Hackathon (https://github.com/Vaa3D). Zhou, Z., Kuo, H.-C., Peng, H., Long, F. (2018). DeepNeuron: an open deep learning toolbox for neuron tracing. bioRxiv:254318.